Place the softened butter in bowl of electric stand mixer or use a hand electric mixer. Add herbs of choice, garlic, olive oil, salt and pepper and mix until all your ingredients are combined and a creamy consistency. 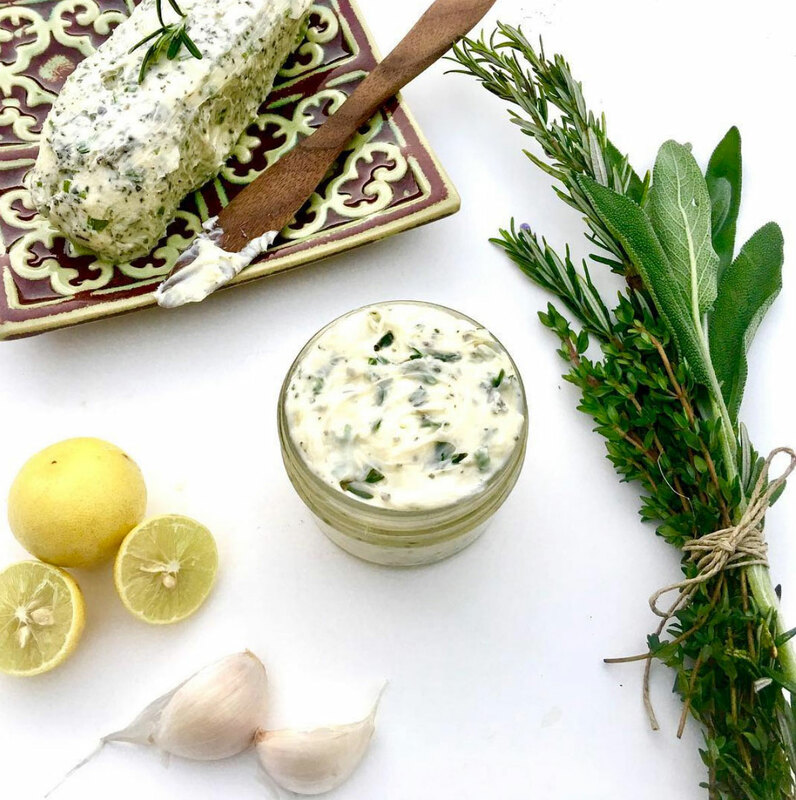 Transfer herbed butter to a sheet of plastic wrap, shape like a log and twist ends really well to seal. It will also store well in a mason jar.